8 days from £1978pp plus international flights. 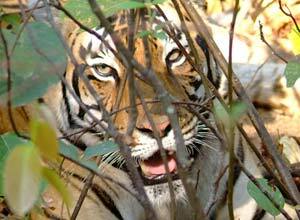 If you really want to see tigers in the wild, this combination of safaris in Kanha and Bandhavgarh gives you the best possible chance. Tribes director, Guy Marks, checked out all the main tiger parks to be certain which would give you the best opportunity of seeing tigers. 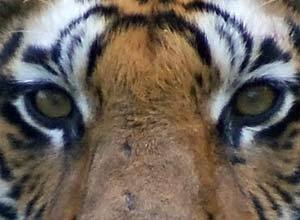 From this knowledge we have designed this Tiger Tiger itinerary for those who are really keen to see a tiger in the wild. 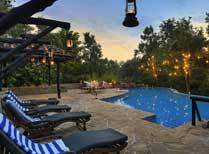 We honestly believe that this combination of Kanha and Bandhavgarh National Parks gives you your very best chance. Both parks are remote and are proper Indian jungle, which not only provide a great setting for a tiger safari but also have a wide variety of other Indian wildlife. The scenery at both of these parks is just beautiful and they are different enough to make it worth visiting both in the same trip. Some people will definitely prefer Kanha to Bandhavgarh and others will favour Bandhavgarh over Kanha, but we think they are equally beautiful and both have excellent wildlife viewing opportunities. We have found some fabulous jungle lodges which can be used for this trip, which also includes all transfers and domestic flights as well as the services of expert and experienced naturalist guides in both national parks. Arrive at Delhi airport. You will be met and transferred to your airport hotel. The rest of they day is at leisure for you to relax after your flight. You will be transferred back to the airport for your late morning flight to Jabalpur. 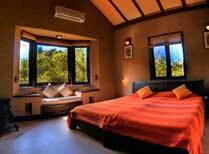 On arrival you will be met and driven the hours to your hotel in Bandhavgarh. On arrival there's time to settle in and get your bearings as you look firward to the next few days here. A full day of game viewing, returning to the lodge for lunch and dinner. As well as tigers, Bandhavgarh has a wide range of other mammal species including sambar deer, chital (spotted deer), muntjac and the four-horned antelope. Though sighted rarely leopards are here in abundance. 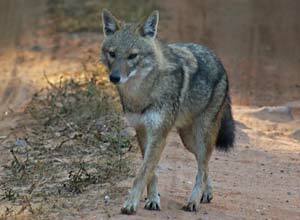 Jungle cat, hyena, jackal, fox, wild dog, wild boar and Indian wolf are all sighted regularly. So too are the sloth bear, porcupine and the Indian pangolin. 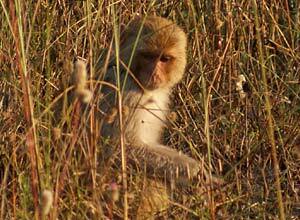 Primates are seen all over the park. Full board. A second day of morning and afternoon game drives. As well as the animal life, Bandhavgarh is teeming with both migratory and resident bird species. The fast vanishing vultures in India - the white back, long billed, king and the Egyptian are surviving in abundance here. There is time for a last game drive in Bandhavgarh this morning before the transfer to Kahna National Park (about 4 to 5 hours). On arrival check in to your hotel where you will spend the next 3 nights. The rest of the day is at leisure. You have morning and afternoon game drives in the national park. Kanha is one of the largest tiger reserves in the world and one of the best places to see tigers, making it the top spot for an Indian tiger safari. 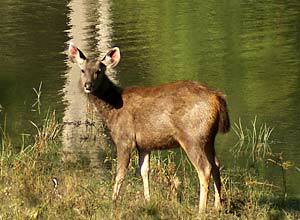 Kanha is also home to a wide variety of other animals including sambhar deer, wild dogs, jackals and langurs. A full day of game drives in the national park with an experienced naturalist guide. As well as its animals, Kanha is profuse in bird life with over 200 species having been recorded in the park. Enjoy a final game drive in Kanha, then depart from the lodge for the drive to Nagpur airport and the evening flight to Mumbai. From here you can connect to your onward flight home. Price notes: 2019/20 prices based on 2 sharing includes domestic flights but excludes international flights: Up to Mar 2019 from £1978. 01 Apr - 30 Jun 2019 from £2054. 1 Oct 2019 - 30 Apr 2020 from £2172. 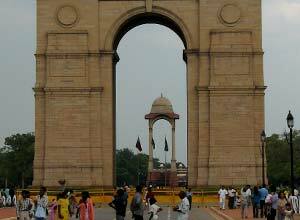 All accommodation on twin share basis; meals as specified; all transfers, sightseeing and excursions in an exclusive chauffeur driven air-conditioned vehicle; flight from Delhi to Jabalpur and from Nagpur to Mumbai; services of an English-speaking guide for sightseeing; entrance fees at sites. International flights; departure taxes; travel insurance; meals not specified; camera fees; items of a personal nature; tips. This tour starts in Delhi and ends in Mumbai. International return flights from the UK will cost in the region of £600 per person, depending on season and availability. Departure dates: This is a private tailor made wildlife holiday. We can arrange it at any time of the year that the parks are open. Most close in the monsoon season from about June to September. 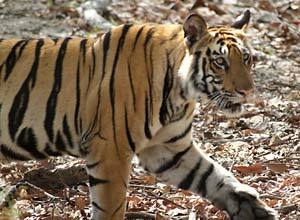 Bandhavgarh National Park is one of India's hidden natural treasures. It is remote and difficult to get to, but definitely worth the long journey. There is a good chance of seeing a tiger here, and that is just one of the highlights of this excellent park. Kanha in Madhya Pradesh was the inspiration for Rudyard Kipling's 'The Jungle Book', and is one of the best places to see tigers. It is also home to leopards, chital (spotted deer), sambar, gaur (Indian bison), many herbivores and about 200 bird species. 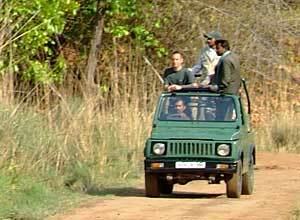 Wildlife viewing is possible on elephant back or by jeep.